May I introduce you to The Fall Guy? More politely, I'd introduce him as a Green Man, fall phase. 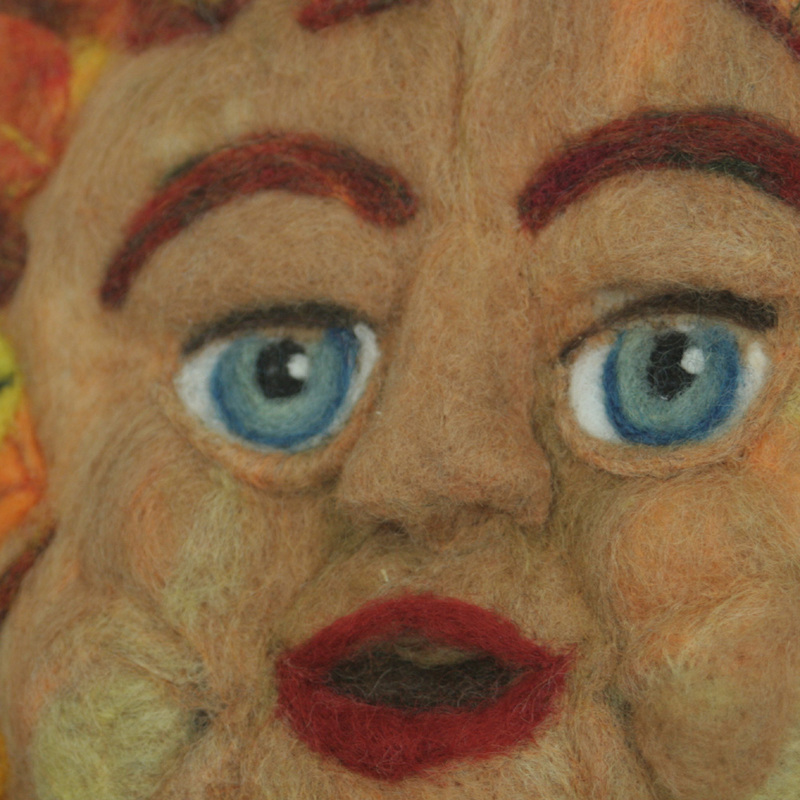 He's my third in a series: I have a spring maiden, a green man and now the Fall Guy. Hopefully, sometime I will make a Winter man. I'm really proud of myself that he is done today. I've been making him for Nature For Art's Sake, this weekend at the Glastonbury Audubon Society, and it's not Friday night with me up till all hours...I've done a bit of growing since the college days! Here's a close-up of his eyes - they are the part that people always are drawn to. These guys are so fun to make! Hours and hours of work, though. 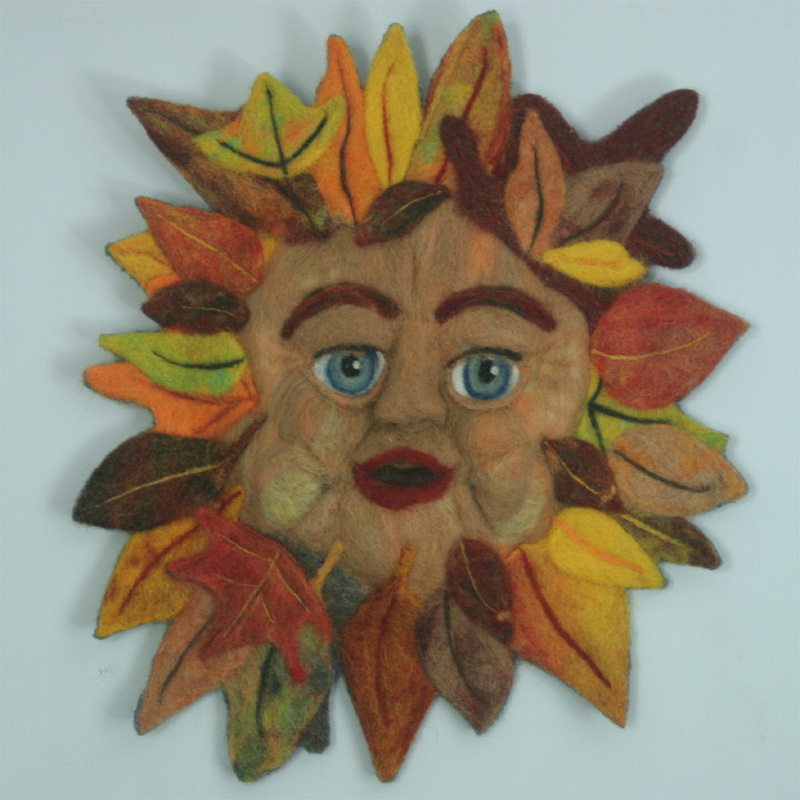 Each leaf is felted individually and the face is sculpted onto the background of a recycled sweater before I start attaching the leaves. Nothing is sewn - it's all needle felted.